Join us for Dr. Martin Luther King, Jr. Celebration. We will start with a walk leaving from the Randolph County Courthouse at 10am. We will walk to the Eddie Mae Herron Center where we will warm up with chili and birthday cake. Our special guest will be Ashtyn Bradley singing the National Anthem and First class Patrolman Jonathan Adams of Pocahontas Police Department speaking on MLK Jr. holiday. 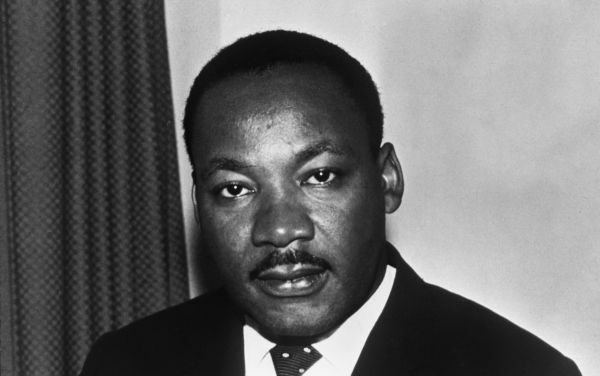 Who is Dr. Martin Luther King, Jr? Martin Luther King, Jr. Not after 1968. Black & white photonegative, 5 x 4 in. State Archives of Florida, Florida Memory. <https://www.floridamemory.com/items/show/141920>, accessed 9 January 2018.